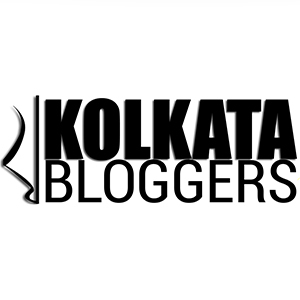 March 29, 2019 April 13, 2019 Categories Festival, Restaurant reviewblogger, food festival, foodiedada review, jamva chalo ji, kolkata food festival, parsi food, parsi food festival, patra ni machhi, sagan nu patru, seasonal tastes, westin, westin kolkataLeave a Comment on Sagan Nu Patru Jamva Chalo ji – Parsi Food Festival at Westin, Kolkata! Jokes apart, talking about various cuisines, I still miss a few food items and cuisines in Kolkata. Like, I badly miss my Hainanese chicken rice which was my staple in Singapore. And definitely, I miss the Parsi cuisine as a whole, which happens to be one of my favorites. Though there is a small place in Kolkata serving Parsi food but they have also started selling Bengali meals because they need to feed their children as well. So, few days ago when I discovered this Parsi Food Festival going on at Westin (Kolkata), I almost rediscovered my majjani life! The entire food festival has been curated by Mahrukh Mogrelia (of Mahrukh’s Kitchen) from Mumbai and this festival has started on 21st March and is on till 31st March 2019 from 7:30pm-11:00pm (dinner buffet) at Seasonal Tastes. In fact, Parsis and Bengalis share a lot of similarities in their food habits, but yes, there is one thing which I should mention. Parsis love having ‘offal’ or organ meat, like kidneys, brains, livers, etc. Now Bengalis do have chicken and goat liver at home but when I tried this Kaleji (chicken liver) fry prepared by Chef Mahrukh, I realized I haven’t had any good liver dish in my entire life before having this one!! The chicken liver was so damn soft, silky and the spices were so delectable, it made me reach out for a second helping! It tasted so good with the pav (bread) and I know I have to somehow learn to prepare this at home, I don’t know how!! And yes, right after tasting this Kaleji I realized that I am at the right place and I am surely gonna enjoy this meal! So, while this Parsi Food Festival is in progress the ambiance of the classy and spread-out all-day dining restaurant has been done up in true Parsi style. Also, part of the buffet counters and most of the live counters are allotted for Parsi food at the Seasonal Tastes. Chef Mahrukh is the head Parsi chef here with her team, and believe me, together they are doing a great job that must be applauded. Chef Mahrukh hosts home dining events and curates Parsi feasts for various hotels, she has close to 30 years of experience in cooking Parsi food. She has been welcoming guests to her ancestral home and preparing delicious Parsi meals for years now! Her cooking style, selection of ingredients and recipes are extremely authentic and I am sure Kolkatans have never tasted this brilliant Parsi food here in the city, that too in any buffet! And the way Chef Mahrukh took care of us and fed us, at one point of time, I felt as if my mom was caring and feeding me! Trust me guys, this one feeling asked me to pen down this dining experience in a blog post, though I am quite aware that this festival will be there at Westin Kolkata only for couple more days, but I want this memory to stay with me forever! So, now let’s quickly check out what all I had for dinner at this place, of course besides that yummy Kaleji. Basically, Parsi cuisine is tad meat-heavy but this buffet has got the balance of veg and non-veg dishes, though I preferred to stick to my regular non-veg delicacies. I loved having the Patra Ni Machhi, Tatrela Jhinga (prawns), Parsi Fried Chicken (Marghi na Farcha), Jardaloo Salli Gosht, Keema Pav, Akuri, Ishtew and Keema Pattice. So, these are the dishes you shouldn’t miss at any cost, also add the silky Kaleji to this list. Besides that, I also tried Parsi Pulao, Fish Patiyo, the protein-rich Dhansak dal, etc. Coming back to my list of favorites – you need to try Patra ni machhi which is steamed fish wrapped in banana leaf much like our Bhetki Paturi, but the coconut and coriander / chilli chutney marinade that the fish gets makes all the difference, the flavors do sip deep inside the fish making it absolutely lip-smacking. Let’s talk about the Tatrela Jhinga (or prawns) next, this looked so inviting and tasted equally good, the prawn was not chewy and was tender and loaded with flavours. It was spicy, lemony and peppery with a touch of chef’s special secret spices. And yes, how can I miss the Jardaloo Salli Gosht, it is somewhat like Bengali’s Mutton Kosha with a sweet twist to it! This is a traditional Parsi specialty, basically mutton well marinated and cooked in Apricot (jardaloo) sauce and topped with crispy shoestring potatoes (salli). The mutton was so soft, with a touch of spice and sweetness from the jardaloo at the same time, it’s like an explosion of glory in your mouth! This is an absolute Must-try dish, for sure. Also, chef Mahrukh prepares a signature dish called ‘Circle of Life’ that is sort of a Shepherd’s Pie (having mutton keema, mashed potato, and chicken pieces) which is basically a Navroz specialty, you can try that as well. Coming to the desserts, I tried the Parsi traditional dish Lagan Nu Custard, Sweet Sev with Matka Dahi, Caramel Custard Parsi style, Rawa Halwa, Badam ka Halwa and Kopra Pak. Sadly, I am not a custard person, so I absolutely loved the Kopra Pak which is like a coconut barfi or sandesh if I have to explain it to any Bengali. It is damn tasty and laden with coconut bits, dry fruits and a perfect touch of sweetness! The dinner which Chef Mahrukh had prepared for us was so light that in the end, my tummy was absolutely full but it was so contented! Her cooking has a typical touch of ‘ma ke haath ka khana’ which is inimitable and packed with unmatched flavors. It was cooked in a simple homely style but using the best ingredients and method that created all the difference. New Year has commenced with Navroz and it’s time to savour some hearty Parsi food for sure. Like I already said, it’s really hard to find such authentic Parsi Food in Kolkata guys, so hurry! It’ll be a crime if you miss this Parsi Food Festival at Westin (Kolkata)! Highlights: The food is extremely homely and delicious. Try Patra Ni Machhi, Tatrela Jhinga (prawns), Jardaloo Salli Gosht, Akuri, Lagan nu custard and Kopra Pak for sure. Previous Post Reset your eat-out goals at Café I Am (Momo I Am, Sector-V)! Next Post The Lords and Barons – a touch of Royal pub dining in Kolkata!